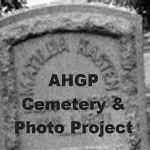 If you have a cemetery listing or photos on the web or would like to transcribe a cemetery or do lookups, please email the project with the information. Search engines and QUALITY links! You are the 111793rd Visitor to this USGenNet Safe-Site™ Since October 12, 2001.